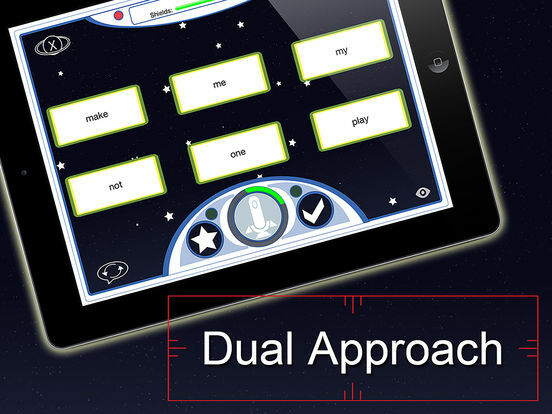 Developed in cooperation with educators, Say It Sight Words is the ONLY app in the app store that provides an independent learning opportunity for students developing sight word (high frequency word) mastery that is both fun and engaging. 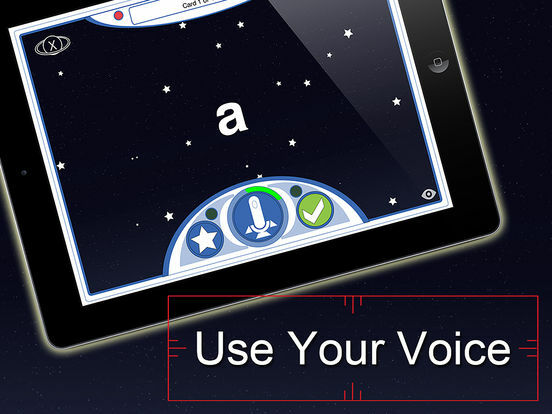 •Siri-like speech recognition – students can say the word, and get automatic feedback. •Create custom word lists quickly without having to record your voice using the built-in text-to-speech feature. 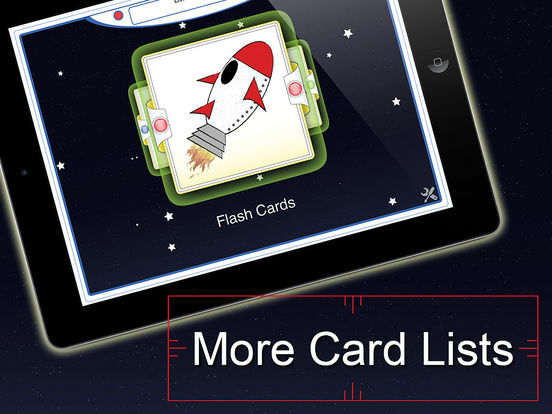 •More card lists – the lists most teachers use. Thirty five card lists containing over three thousand words. 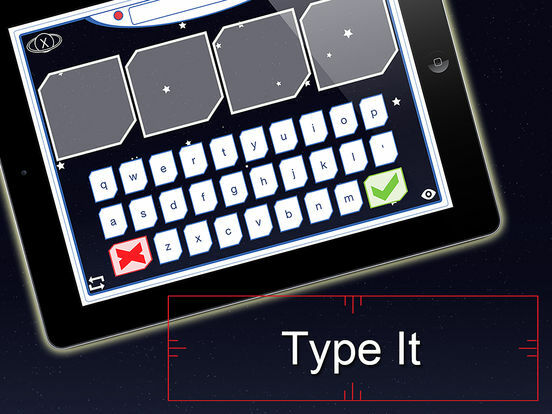 •A space age game of “hangman” that challenges the student to identify the word that is spoken. 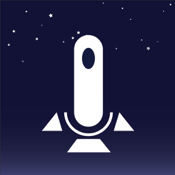 •Universal app - works on iPad, iPhone, and iPod! •No adds or in-app purchases. •Elimination Mode: Correct cards get temporarily eliminated so the student can focus on the words they are struggling with. •Cards can be sorted randomly or alphabetically. •Adjustable flashcard timer allows the student to practice as though they were being tested. Alphabet, Dolch First, Dolch Irregular, Dolch Pre-primer, Dolch Primer, Dolch Second, Dolch Third, Fry 100, Fry 200, Fry 300, Fry 400 ,Fry 500 ,Fry 600 ,Fry 700 ,Fry 800 ,Fry 900 ,Fry 1000, Dolch Read Words Red, Dolch Read Words Orange, Dolch Read Words Yellow, Dolch Read Words Green, Dolch Read Words Blue, Dolch Read Words Violet, Dolch Read Words Scarlet, Dolch Read Words Pumpkin, Dolch Read Words Goldenrod, Dolch Read Words Mint, Dolch Read Words Turquoise, Dolch Read Words Lavender, Dolch Read Words Bronze, Dolch Read Words Silver, and Dolch Read Words Gold.